Looking for bujo hacks to get you started or become a more efficient bullet journaler? 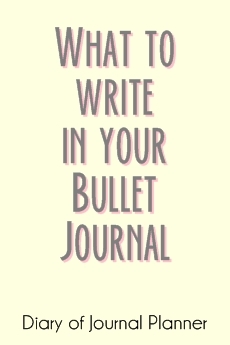 Read our bullet journal tips and tricks below to improve your journaling. Bullet journals has become very popular in recent years. 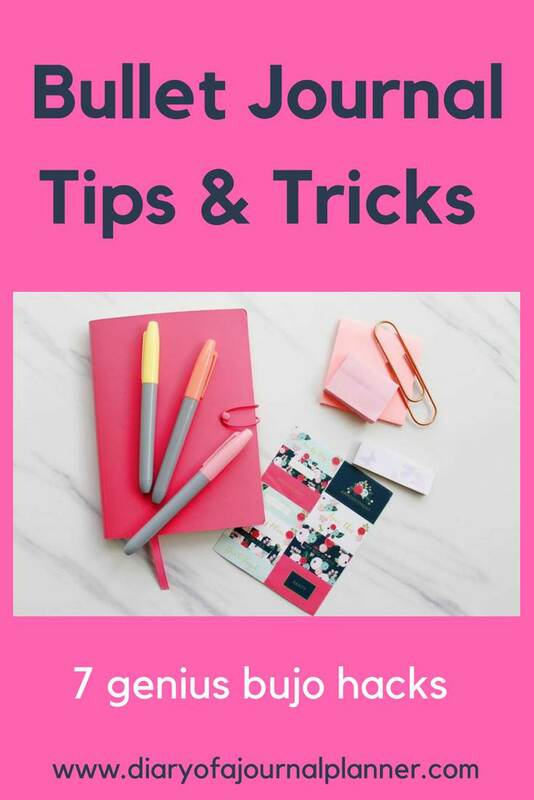 After all it is a fun and efficient way to organize your tasks and keep memories as it can essentially be used for anything that you need to take notes and do. Bullet journaling is a blend of using a planner, a task list, a diary and it can become a creative outlet. If you’re just starting your bullet journal, it is easy to get confused by all the different options. Generally there is a limitless amount of collections that you can include in your journal, and you can build the layout any way you want. Even though this gives you lots of room for flexibility, it also makes it hard for you to decide where to start. 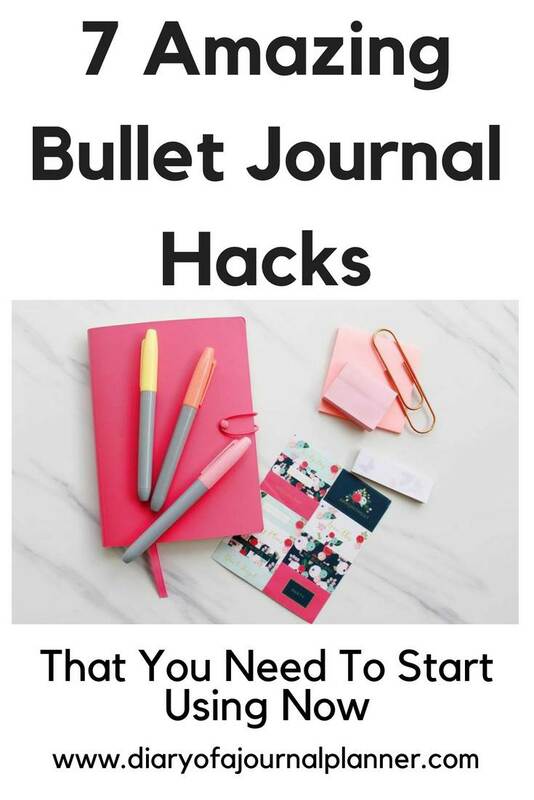 That is why I am here today to help you with some good bullet journal hacks to get you inspired and started in no time. Read on to find tips for bullet journaling and planner hacks to kickstart your productive bullet journal journey. It is also worth reading if you have been working with this type of journal for a while. If you came across bullet journalists while perusing Instagram you know that some talented people out there put a lot of effort in making their bullet journals look like a master piece. These complex, perfectly-decorated spreads you see simply don’t get created overnight. Many of these artists have years of experience and advanced skills for the technique they use to decorate their art journals, not to mention tools and supplies that you probably never heard about. The bullet journal system objective is to simplify your life, not to make it harder! You don’t have to learn a new drawing technique to use bullet journals! You may want to create the be all and end all of bullet journals, but it’s much better to start basic. In fact everyone starts the same way, with a pen and a journal. So keep it simple until journaling turns into a habit, then start introducing more elements and content slowly. You run the risk of quitting bullet journal quickly if you get overwhelmed while starting out. My advice is always to start with the main sections of a bullet journal: the index, the keys, a future log, the monthly logs and the daily/weekly logs. A bullet journal can be created entirely in pen with no fancy layouts or styles. Then slowly add a couple of collections pages that are important to you, but don’t go over the top. Once you got used to filling those out, then add some color, washi decoration or bullet journal doodles if you feel like. Bullet Journal Tip: Concentrate first on the information than on the aesthetics, that way you will build the foundation habit of your bullet journal that can also be used for when you feel inspired. One common thing that you see often between successful bullet journal lovers is that they use they bullet journal regularly. When we start a new hobby or learn something new we all get excited and give it a lot of our time. But as time passes you can get uninspired and forget about it. The same can happen with a bullet journal! The key to success with bullet journaling is to keep at it! And the best thing is that this type of journaling generally requires less time commitment than other types because of the rapid logging. Take your time to set up your main pages then make a habit or ritual of giving at least 5 minutes to it every day. Keep your journal in a central place in your house where you will not forget it. This will prevent you from procrastinating which can eventually lead to you stopping bujoing entirely. 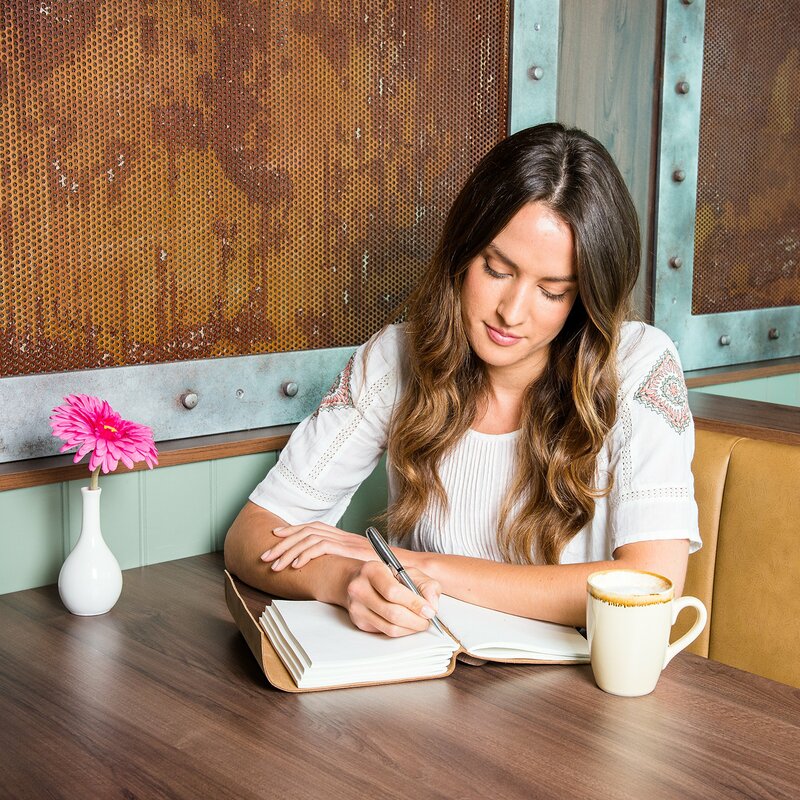 You can write your thoughts down as soon as you have it or you can take a time in the day to catch up (lunch break, before bed time etc). Whatever you choose make sure that you do on a daily basis. On the first few weeks set a reminder on your phone to remind yourself to journal every day. Bullet Journal Hack: Find a time of day for your bullet journal ritual. It can be any time that works for you, just sit and fill in your bullet journal daily. Although a bullet journal is a flexible all in one organizer tool it doesn’t hurt to think about what set up roughly you want to have. Let’s borrow this idea from pre-printable paper planner hacks and think how the layout will look like. Believe me, this little bit of preparation is more important than you think! It will also help you choose the best sized journal for your needs. Once you start writing in your journal you can’t go back to add more pages (one of the best Happy Planner hacks, right?). 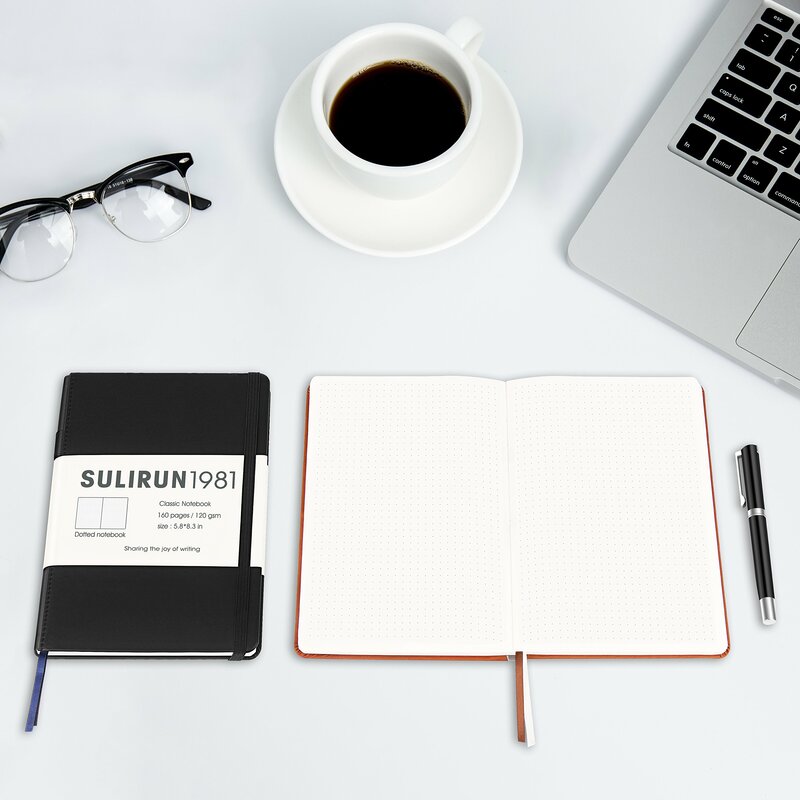 If you are just starting out with your bullet journal, it’s likely that you will forget to add some important pages that will you plan life but you won’t have the room to move stuff around or add brand new pages later. So, the best option is to make a lot of the crucial decisions prior to anything else. Choosing your most important collections before you set up your journal will help you keep it organized. 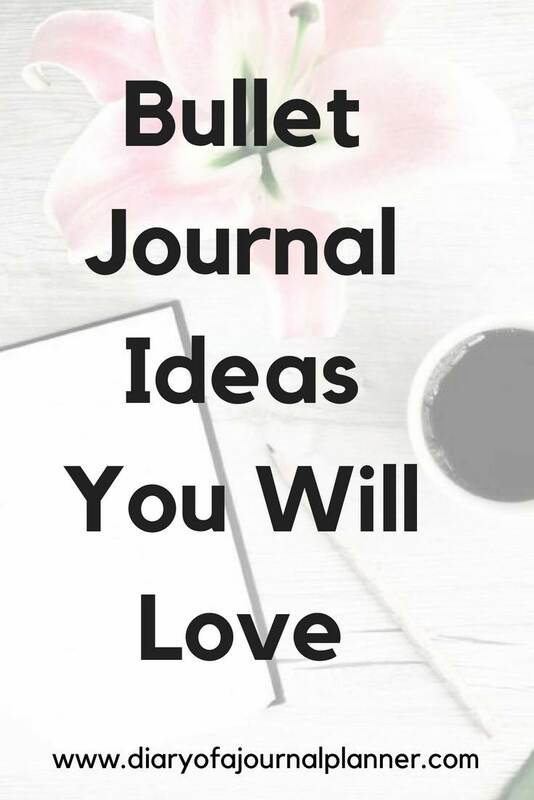 Here is a huge list of bullet journal collection ideas! You can of course add collection pages whenever you need and think of them. Still, if you want to have the all the collections in the same place or use some that recur each month, selecting them in advance will help you space everything out evenly and leave enough pages for each topic. Bullet journal habit trackers are also very popular pages for planner and bujo lovers but these can be added monthly with your other monthly spreads, unless you use the ‘Year In Pixels’ approach. Do I want pages to look uniform? This will help you decide if you put all collections in one area or set them up as you see needed. What things do I want to track in my bullet journal? This will help you choose which collections to add. Do I need a lot of space for my task spreads? This will help you decide on weekly or daily spreads. What signifiers am I going to use? This will help you describe tasks in a very simple way. Am I going to be creative with my journal? This will help you decide on layout spreads where you can practice your creativity. Do I know for sure how much space a giving spread will require? This will allow you to leave extra blank pages between spreads in case that collection grows too long. 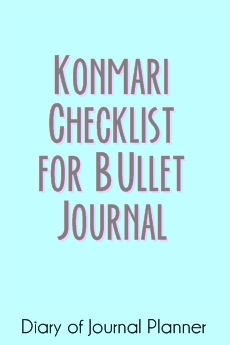 Bullet Journal Tips and Tricks: Answer the above questions to help you select the main sections and logs of your journal. 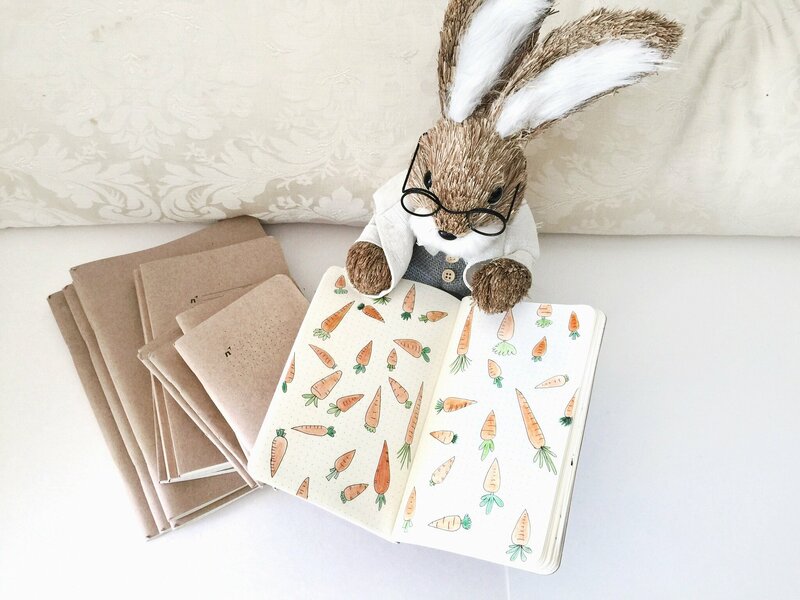 Then you can come up with a good order to put the pages in the journal and make sure you have space for everything. Signifiers are the symbols in your entries that offer visual categorization and makes rapid logging possible. You can take a brief glance at your list and see exactly what type of jobs or reminders you have created. This is a fantastic organizational system, but it can get challenging and messy if you use way too many signifiers. The purpose of bullet journal signifiers is to easily identify the task at hand or note, but if you have 15 different icons to keep note of, you will spend most of your time trying to decode it. It is counterproductive! You should always start out small with only a few signifiers but once you get familiar with them you may want to add more specific ones. Try to gradually add them to avoid overwhelm and to make sure you really need it for your logging. At the beginning you may not remember exactly what symbols you are using. A simple flip out spread with your symbols and signifiers will help you log your tasks ever faster. You can also use it for your index, allowing you to find your pages faster. Keep one fold-out spread in the cover and another in the back cover of the journal. Bullet journal index ideas: use a flip out page for your index so you can easily find the pages you need. When I first started reading posts with bullet journal ideas for beginners I knew I wanted to add a dash of creativity to my journal. Maybe you don’t think yourself as an artist and doesn’t want to turn your bullet journal into an art journal, I get it! Still, you can use a little bit of creativity with craft supplies to your benefit. And it comes handy also when you made a mistake on your bullet journal, you can cover it up with stickers, washi tape or a printable. Imagination goes a long way here. 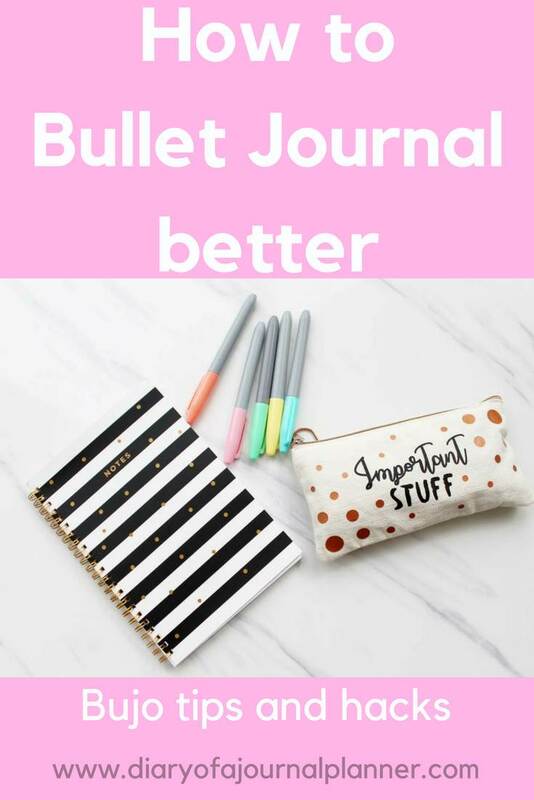 Check my favorite bullet journal supplies here! You can use washi tape to decorate your bullet journal in so many ways but this hack here is all about organization! After setting up your pages and index a great next step could be to add a little color coding. Easily browse through your different sections and find the page you need quickly. You can color code every collection of your journal, by either lining the edge of the page with washi tape or making small washi tabs on the special pages. Either way will help you visualize the different pages within your bullet journal. So for instance, monthly logs are all one color, daily logs are another color, and trackers yet another etc. Too many washi tape to store? Check here my favorite washi tape storage ideas! Bullet Journal Tips and Tricks: Use colorful washi to color code each important section. This enables you to do the planning work without having to keep going back to index. From all the bullet journal collection ideas you may have, some information will be likely reoccurring and changing in a short amount of time, such as in a weekly meal planning spread, or grocery list, fitness track etc. Instead of making new updated collections, you’d better reuse the same collection by making notes on a post it paper. Another situation you can use sticky notes is for temporary reminders or small lists that you need to write down but don’t want to maintain in your journal forever. Or perhaps you have some reminder tasks for future monthly logs that you haven’t created yet and don’t know where to write them, or for a collection that you thought adding in the future. Well, post its or sticky notes are the best bullet journal hacks for these situations. Don’t make new pages or add irrelevant notes to your current log, just make temporary notes on a post it or use the sticky note as placeholder. Hack: Use sticky notes creatively as placeholders and reminders for temporary tasks or collection items. If you like to bring your bullet journal with you all the time this little hack here is a great idea to start! With a hot glue, binder clip and a piece of elastic band you can create this pen holder. If you rely on your washi to help you set up your layouts then it is good to have it at hand for whenever you need it, right? The best way for me to take many washi tapes with me in a pencil pouch is to use a popsicle stick. Simply re-tape a certain amount of washi side by side in a popsicle stick and there you go! Having a hard time drawing the charts and trackers for your bullet journal? Get printables with designs already on the pages and just add it to your bujo. Bullet Journal Hack: Add printable artistic elements or stickers to beautify your bullet journal if you don’t have skills to draw or doodle them. Whenever you’re comfortable with how your bullet journal works and journaling has become a habit, you can start getting really creative if you want. Making your bullet journal pretty is basically using art journaling for therapy. It a great stress reliever activity plus it might make you feel very proud of your assignment. You can find a huge number of inspirational bullet journal pictures online. I suggest you to start with a theme and work from there. Even if you don’t feel that artistic, just a littler bit of color will make a huge difference. 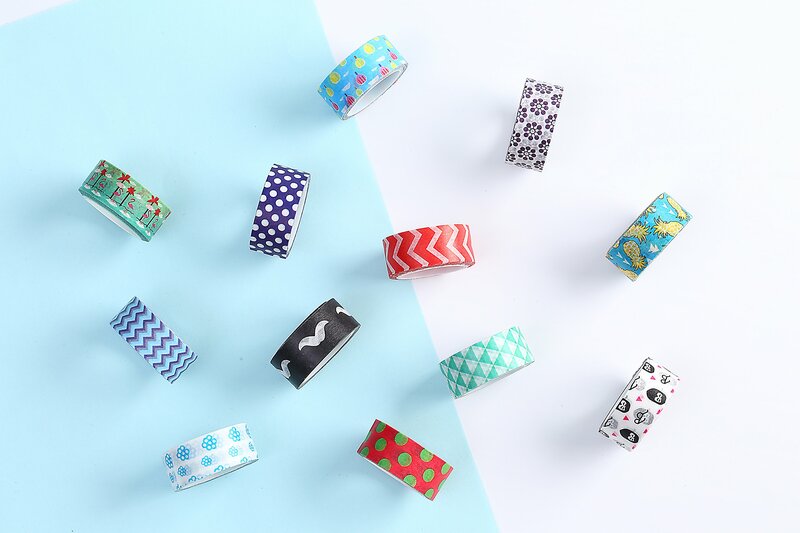 You can mix and match patterned washi tape too, or add stickers and printables. if you don’t have many art supplies you can easily start with some of your coloring markers, highlighters and pencils. Just pick a theme and start doodling and coloring. There are so many easy cute bullet journal doodles to try. 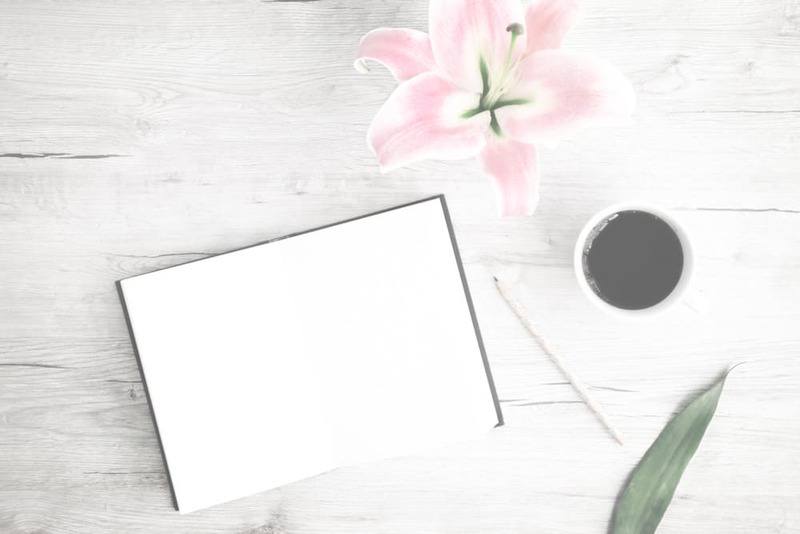 Designing your bujo page headers is an additional way to beautify your journal. Here you can find easy headers to try out today. And as you get more confident, you can start practicing your cursive writing to spruce up your journal even more! Eventually you might end up with a journal that looks more like an art journal than anything else but only if that works for you! An easy way to restrain your creative self and keep it productive is to have specific pages to devote to the creative side of journaling. Hack: Use stickers and use stencils if you want to add more color and originality to the bullet journal pages. It is okay to look for inspiration but your journal should be a representation of you so your creativity is the most important part. 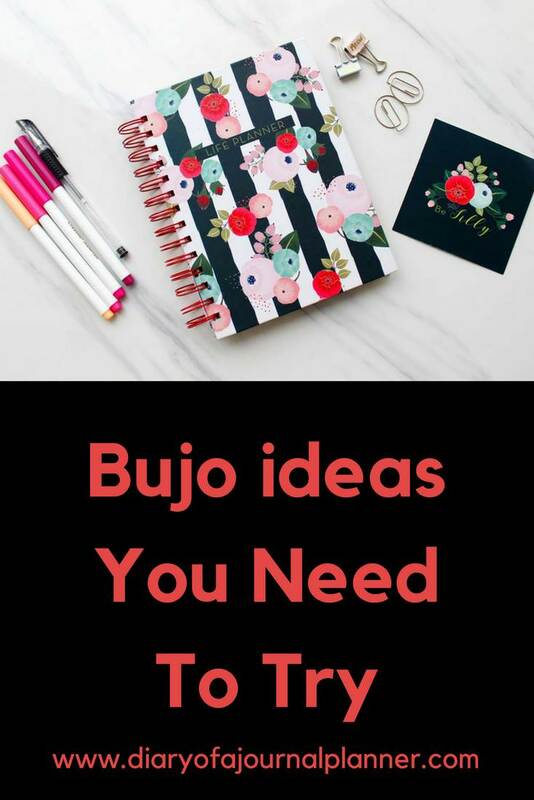 There are many Instagram, Pinterest and Youtube accounts that are brilliant to find inspiration for your bujo or you can read blog posts about bullet journal ideas. 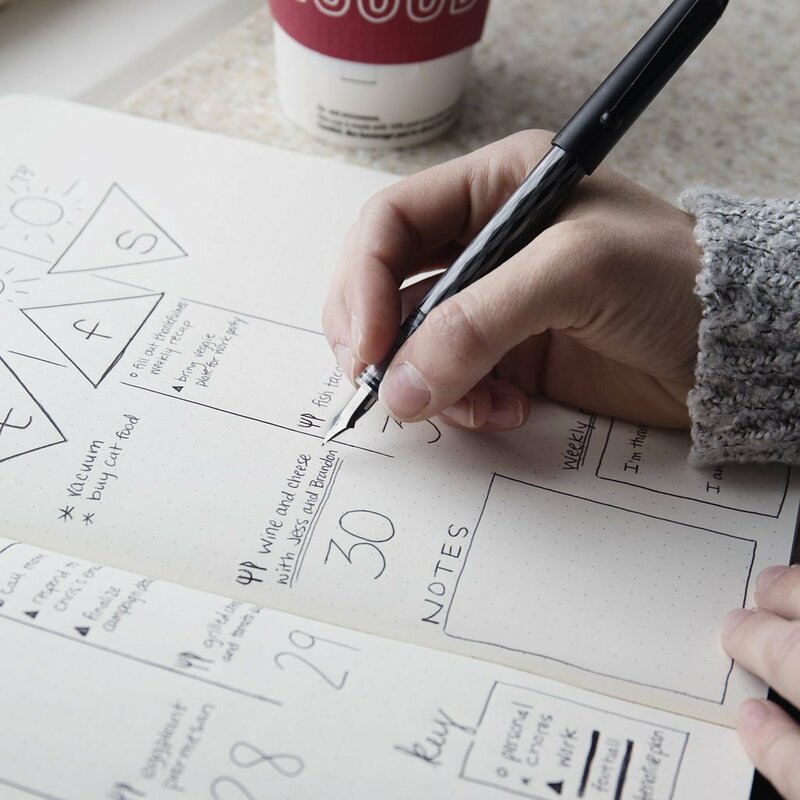 Those beautifully crafted bullet journal examples will ignite your sense of creativity but don’t get caught up in the details. Bullet journals most appealing feature is that it is totally adjustable, so only include what’s important to you. Don’t create a journal to look the same way and include the same topics as other journals. This will make your journal less genuine and authentic to you. You’ll also see some journals that look like professional pieces of artwork. As fun as it can be to embellish your journal, the content matters more than the looks, and your content is unique to you. Constantly looking for ways to improve your journal will prevent it from becoming just another job but if you compare all the time you might lose your enthusiasm. It should be a fun project that helps you stay focused and organized. If you concentrate on what really drives you to write, your bullet journal can become a lifelong project. So tell me, what good bullet journal tips and tricks you know to hack your journal? Let me know in comments below. Follow us on Instagram for more inspirational bullet journal content.